The way the energy industry works has stayed pretty much the same for decades. Generators (such as power plants) create energy which is transported via the National Grid to everyone in Britain and consumed almost instantly. Supply and demand need to be matched on a second-by-second basis which is a feat in itself. However, the needs of the modern consumer and business have changed. A location no longer needs power for just a few lightbulbs or a small oven and chiller in a bakery. Retailers have designed attractive displays to get consumers through the door. And restaurants no longer serve food by candlelight, no matter how romantic that would be. We need to account for a multitude of electric kettles, powerful hair dryers, warehouses full of refrigerators and soon enough, fleets of electric vehicles that need to be charged. The way we generate energy has changed as well. New sources such as wind and solar power are cheaper and more environmentally friendly, but it&apos;s not as easy to control how much energy they produce. This makes it difficult to factor them into that second-by-second balance of supply and demand. They need to be connected more effectively to the wider infrastructure. The old system can no longer cope. And business owners are tired of receiving a bill at the end of the month based on a prediction of their consumption rather than actual usage. Instead of a one-way system of sending energy and coping with the rising demands on-the-fly, the new smart grid is based on two-way interactions. Energy is sent and data is received back to suppliers and network providers to increase the National Grid&apos;s ability to manage supply and demand. Not only that, but automation, advancements in energy storage and technology can limit the input we, as consumers of energy, need to make and allows the grid to balance itself more accurately. In the case of power outages or emergencies, a smart grid is able to recover quicker by isolating the issue and re-routing energy to serve demand or prioritise its delivery to emergency services first. So if you experience an outage, rather than waiting for your local network to be connected back, energy could be re-routed via a different path to you. An increase in electric vehicles might put additional strain on the grid if not managed properly, but the good news is that they also act as a network of storage systems that can be tapped into at peak times to support demand. This is known as &apos;vehicle to grid&apos; energy. All of this can&apos;t be possible without the two-way interaction between those who consume, produce and transport energy. This fundamental feature of the smart grid will enable us all to rely on energy to be there when we need it. What is the smart meter&apos;s role in all of this? By having access to a granular view of their consumption, consumers and businesses can make more informed decisions as to how they can manage their energy more effectively. In turn, their suppliers can then manage the energy they offer more effectively which makes the National Grid as a whole more reliable. What&apos;s more, smart meters will open the gateway to easy peer-to-peer trading in the future. In simple terms, this means that if a neighbouring business has produced more energy and you need to use more but the supplier cannot send it to you, you can source it directly from your neighbour. Inside your premises, the emergence of smart appliances will make it possible for energy to be consumed at a time when it&apos;s cheaper, when there is less pressure on the grid. You will still have full control over when appliances work and when they are scheduled to do so, but a smart grid will allow you to spend more time on what matters and less time worrying about how to use energy more efficiently. 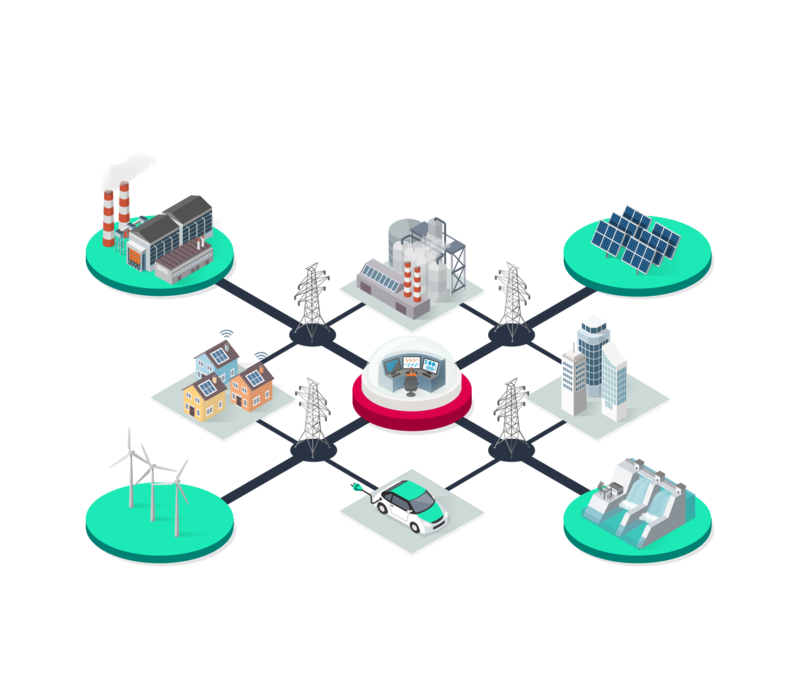 You can also find information on the smart grid in this simple guide from the Institute of Engineering and Technology (IET) and the Smart Energy GB website.